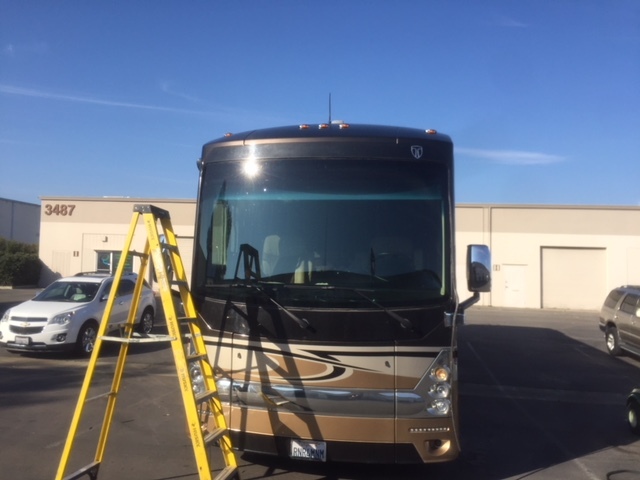 In the Sacramento region of Northern California nobody other glass repair company is close to offering the quality or quantity of RV glass repair. 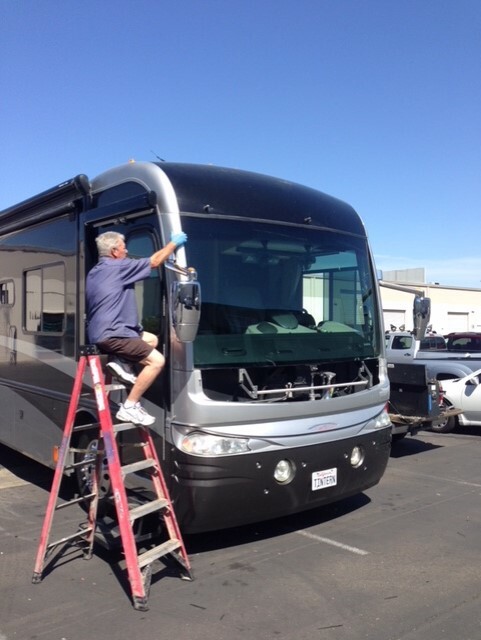 We specialize in RV Windshield Repair, completing over two or three RV windshields each day. 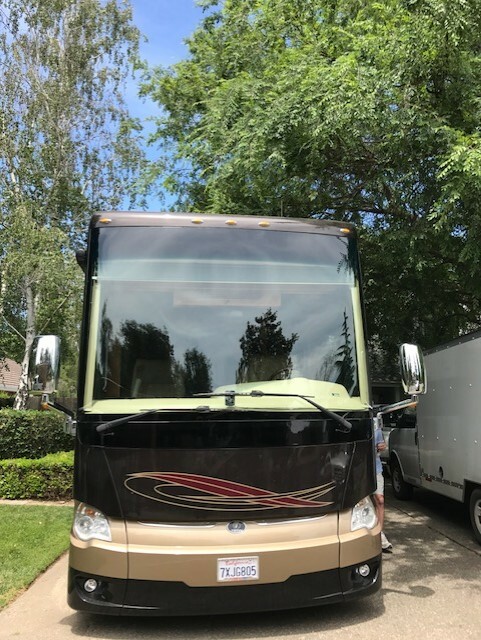 From old campers, motorhomes and RVs where we have to cut glass for windshields all the way up to the new ones where they are solid one-piece motor homes flush mount. 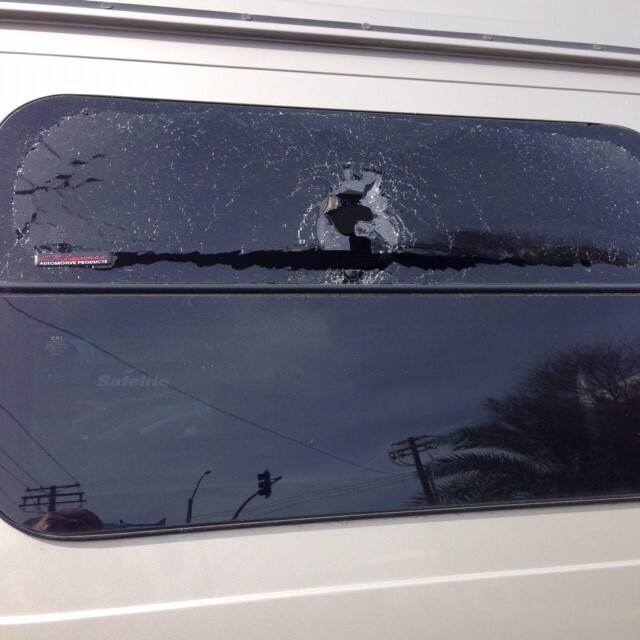 We repair RV windshields that other glass companies won’t touch. 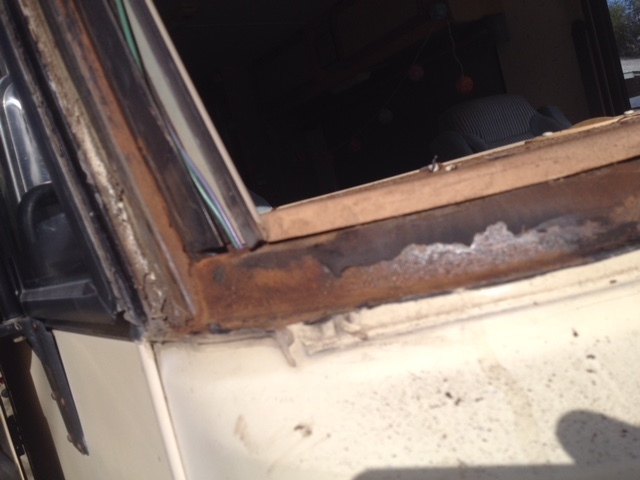 We also repair window frames are rusted and corroded. 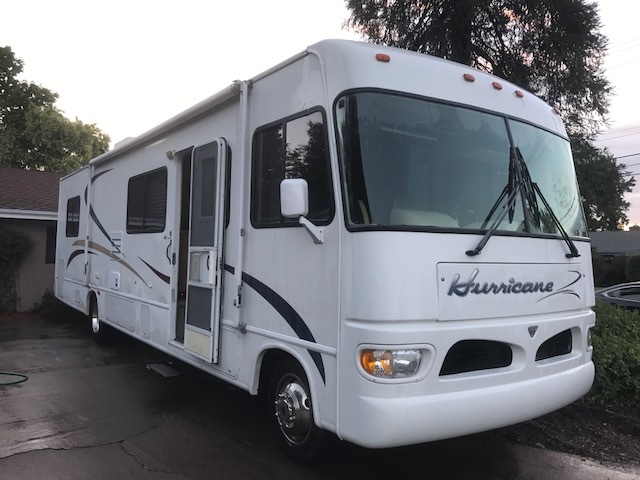 We are proud to offer mobile and emergency RV windshield repair for all makes, models and years. There are many times when we’ve gone to other glass shops to pick up the glass because when they received it they said yeah, we can’t do this. 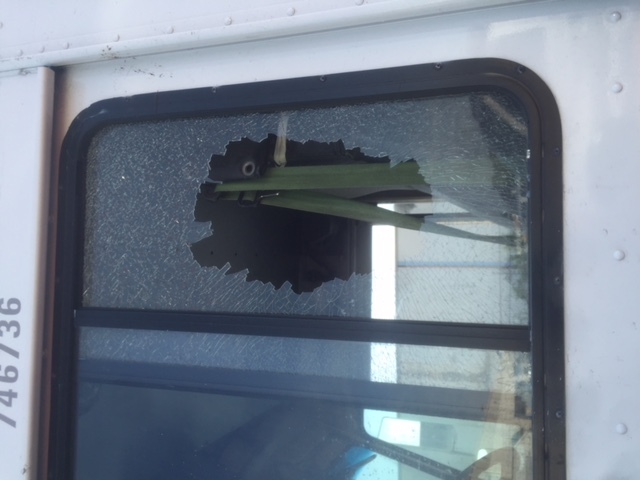 RV glass repair is a specialized skill. There are some simple repairs, that other people do, but we do them all. 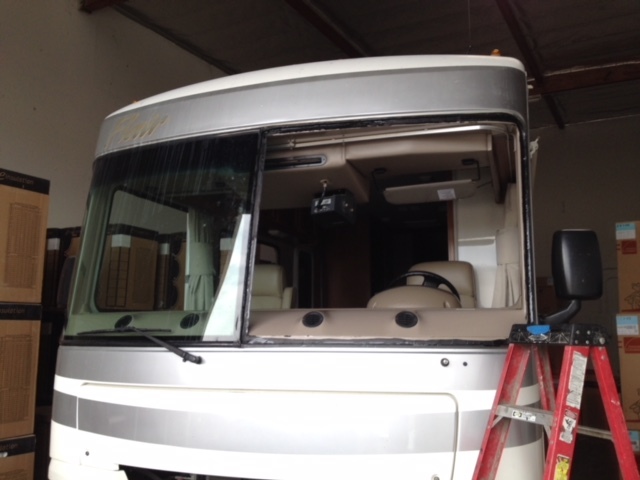 In addition to RV windshields, we also repair and install RV windows for all makes, models and years. The cost and wait-time of ordering a full replacement from the manufacturer can be outrageous. 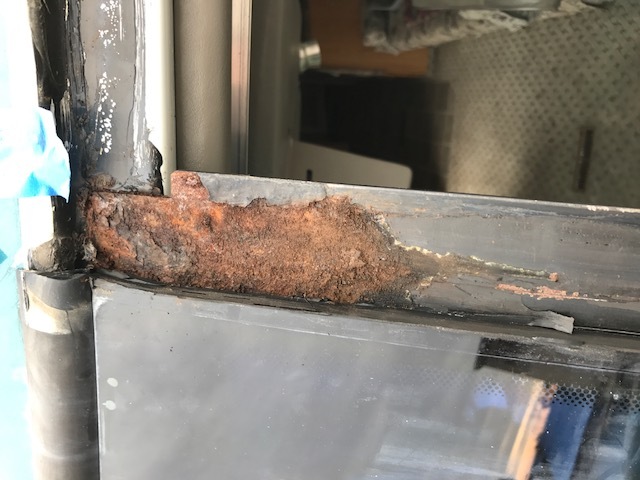 This is a problem that many RV owners face and we help by offering a process to rebuild the dual-pane glass at cost savings of about 35% – 65% over the cost of replacement. 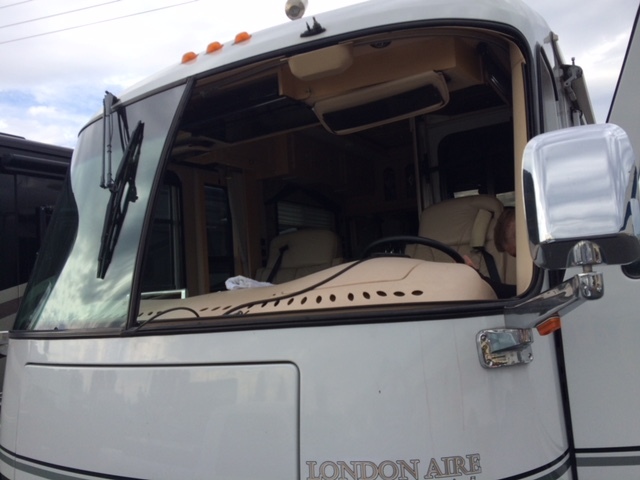 Newer model motor home windows have dual glazed insulated windows just like homes do. 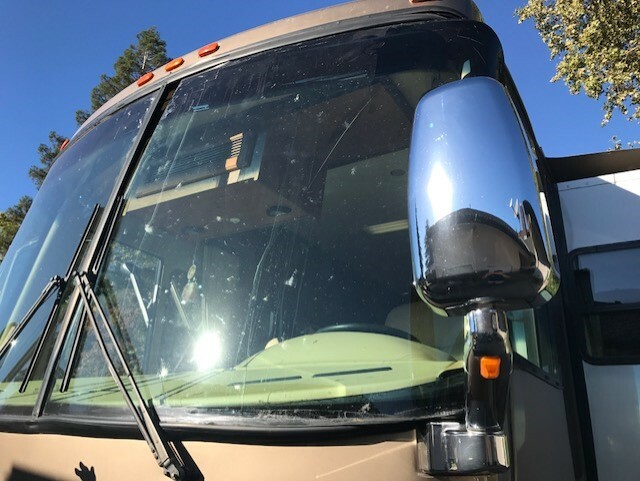 Often times the dual-pane windows in an RV will lose their seal allowing moisture between the panes of glass and causing fog to appear in the glass. 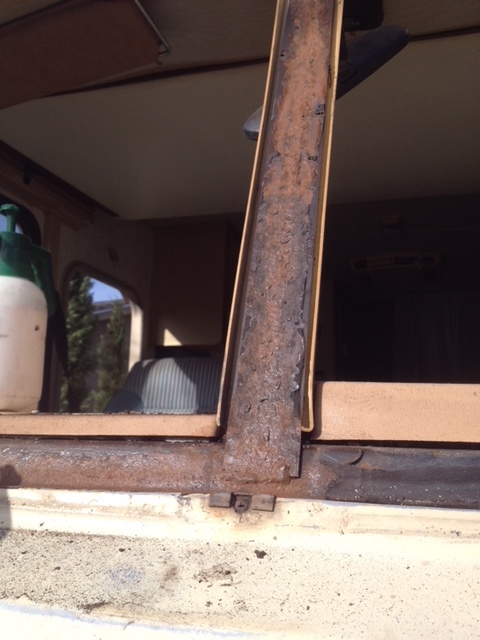 In addition to fogged RV windows, mold can also begin to grow in the broken windows. They fail constantly because of not only the movement of the vehicle going down the road but also because of the altitude change. 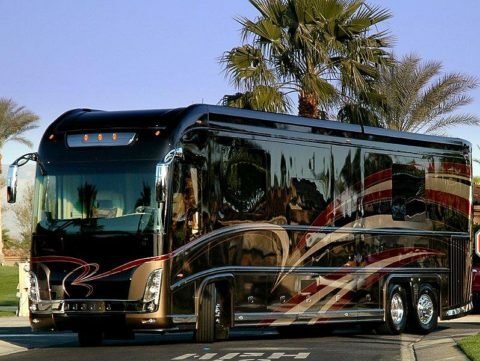 RV windows are manufactured with the window panes built too close together and when RVs travel up in the mountains, they are affected by the altitude change similar to a bag of potato chips. The windows expand and contract when you go up into the altitude and come back down. 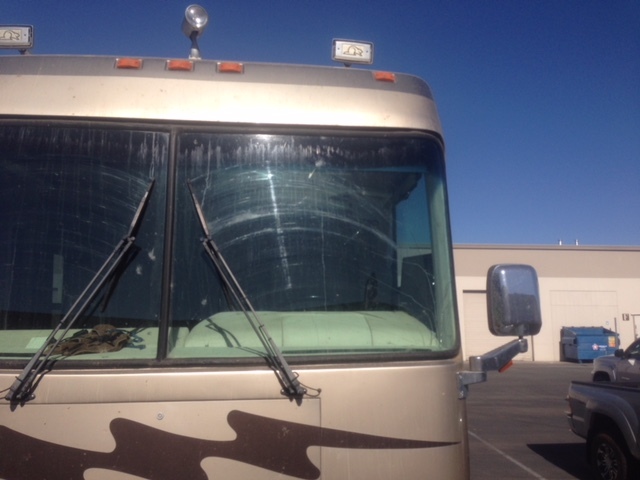 When the RV window seals fail, they get foggy and it make it impossible to see through them. 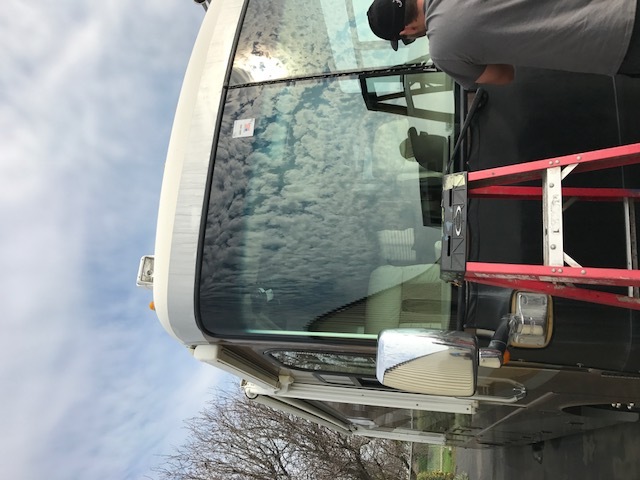 You can’t see the mirrors through your foggy RV windows, you can’t see out from their kitchen window or from their dining room windows and RV owners want these windows replaced. 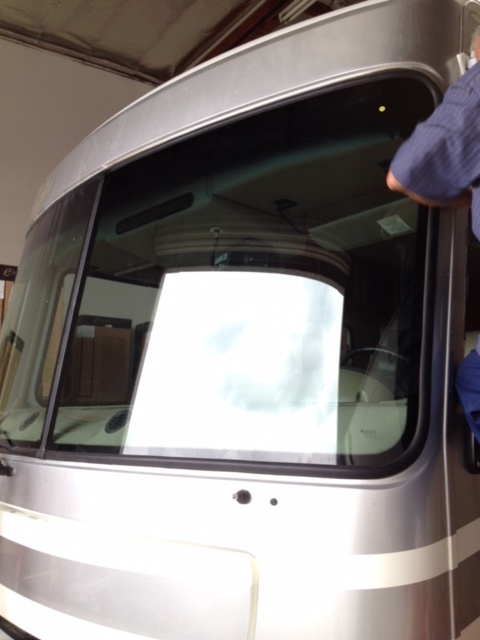 For our process we help our clients save a lot of money on RV sliding windows, escape exit windows or RV door window. 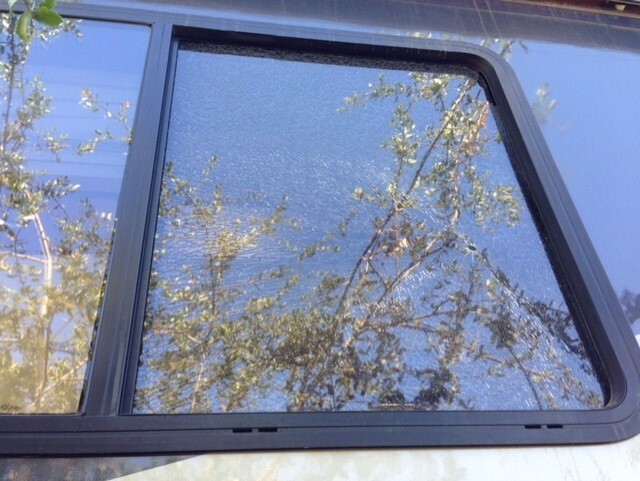 With our RV window glazing process, rebuild the dual-pane glass at cost savings of about 35% – 65% over the cost of replacement. The turn-around time for a dual-pane window rebuild is about 3-5 days. Furthermore, USA Glass will also match the manufacturer’s warranty! 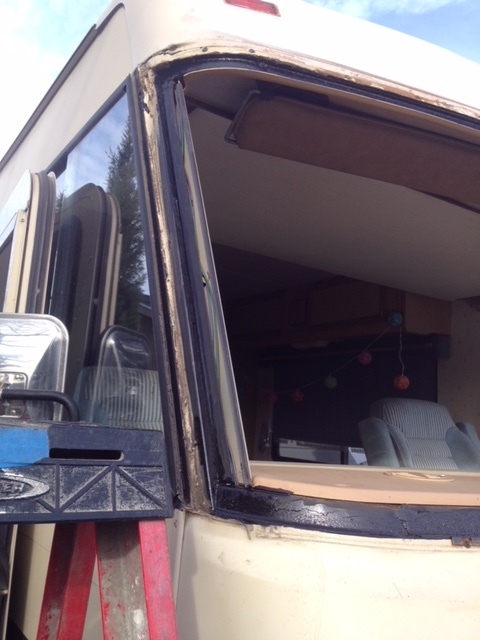 We take the windows off of the coach and disassemble the windows. 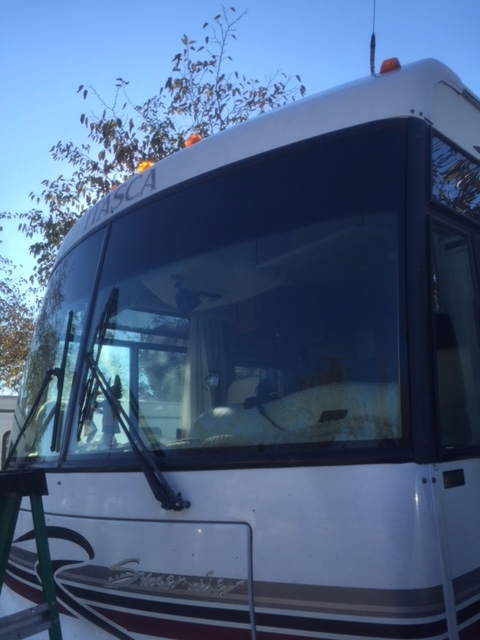 We separate the glass panes then we re-clean, and reseal the windows. It is a two-part process, the primary seal and secondary seal. 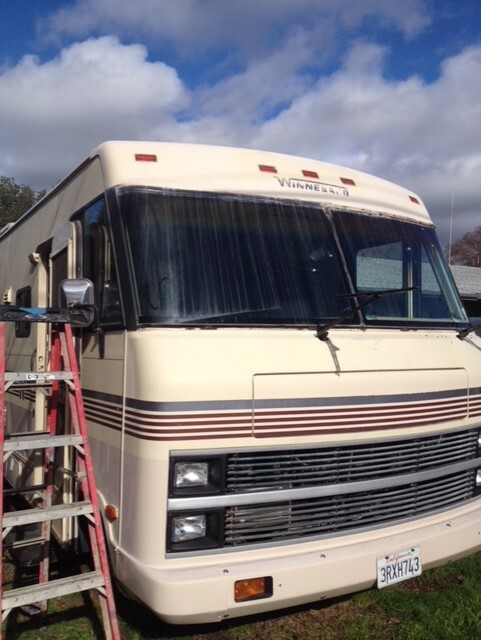 The final step is to put them back together and re-install them on the RV. We separate them, clean them, reseal them and give them a new warranty. 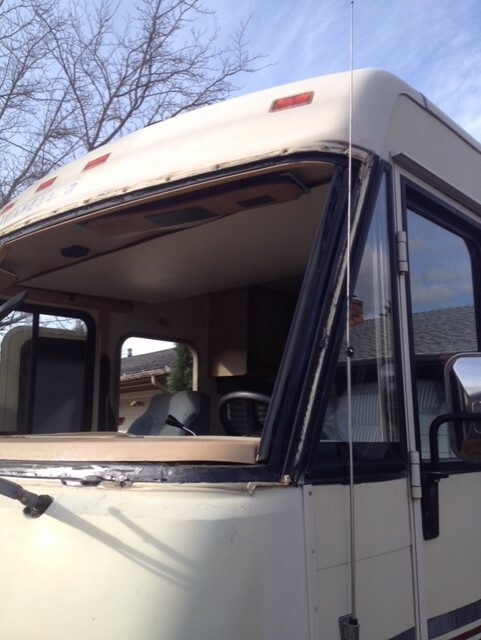 We are specialists in RV window seal replacement. 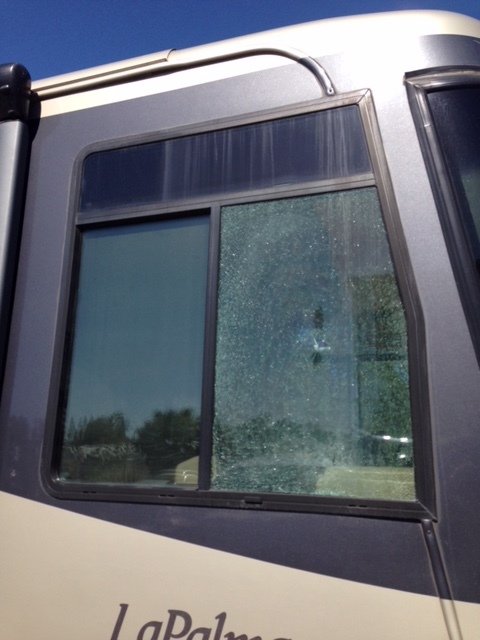 Fifth wheels travel trailers, obviously don’t have windshields, however they do have windows that break. 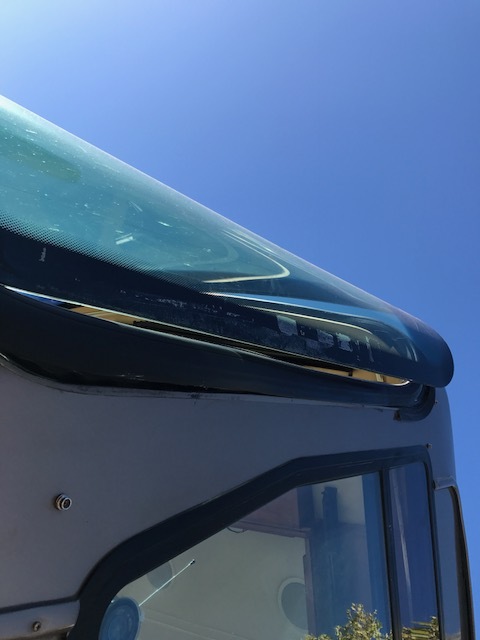 We commonly repair fifth wheel trailer windows after they have been broken from tree branches, robber attempting to enter the trailer and other accidents that happen during traveling or parking. 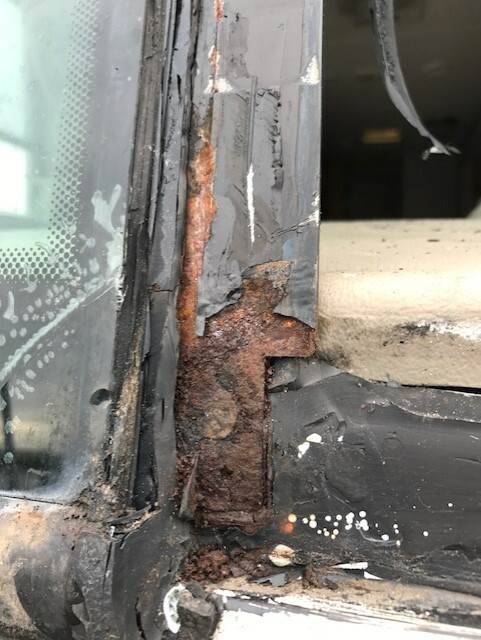 When those windows break, we are one of the few companies that actually replace the glass, instead of them going back to the manufacturer and ordering a whole new window. 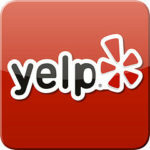 Instead of paying nearly $1200, we fix them for less than $400. And we cover not only just the clear glass but many different tints that the manufacturers use to put the windows together. We bring everything back to factory specs. We don’t always have to use OEM products, we use OEE which is OEM equivalent which is equal to the manufacturers but they are aftermarket products. And after doing 30 years of business we know which products to stay away from and which are the correct ones to use because I don’t want to do the job twice. We have a lifetime, leak proof guarantee that covers a 100% guarantee on workmanship. 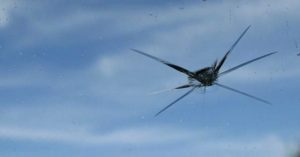 We make sure you have a windshield and glass that is installed correctly. 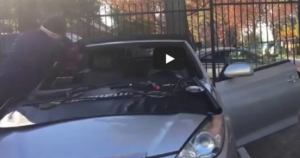 We never want you to have a windshield in and it is not properly installed, and has a leak. If you have a windshield leak it can be a huge nightmare. Leaky windshields and windows can let in water that gets down into carpeting, components and dripping on peoples heads. We make sure the job is done right. If there is ever an issue we back or work 100%. 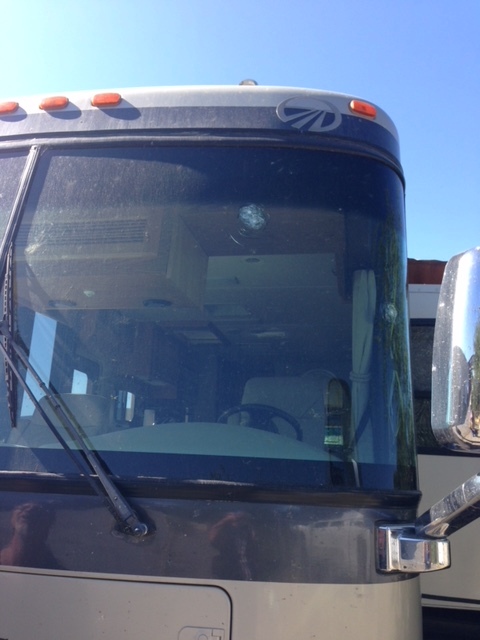 The only thing we don’t cover is a road hazard such as having a rock hit the windshield. There is nothing we can do about that.